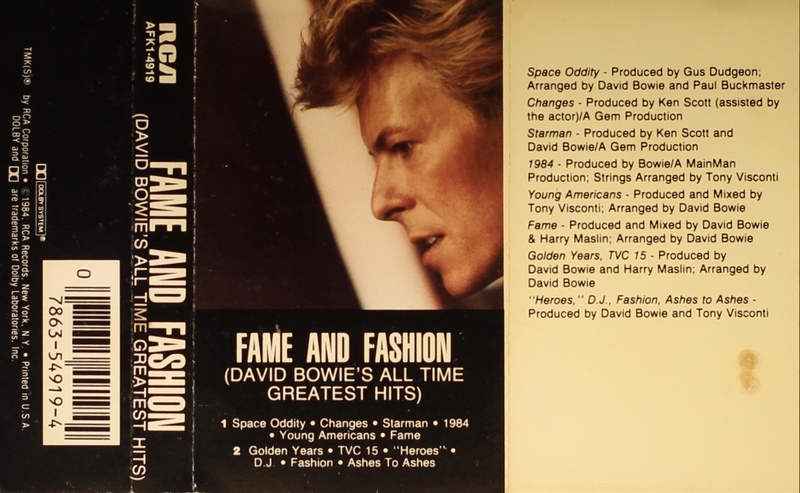 Fame And Fashion: USA; RCA, AFK1-4919; 1984. Black lower third, spine and rear panels. The cover is treated, perforated paper and the rear is blank. Track list on cover panel, production information on inner panel. 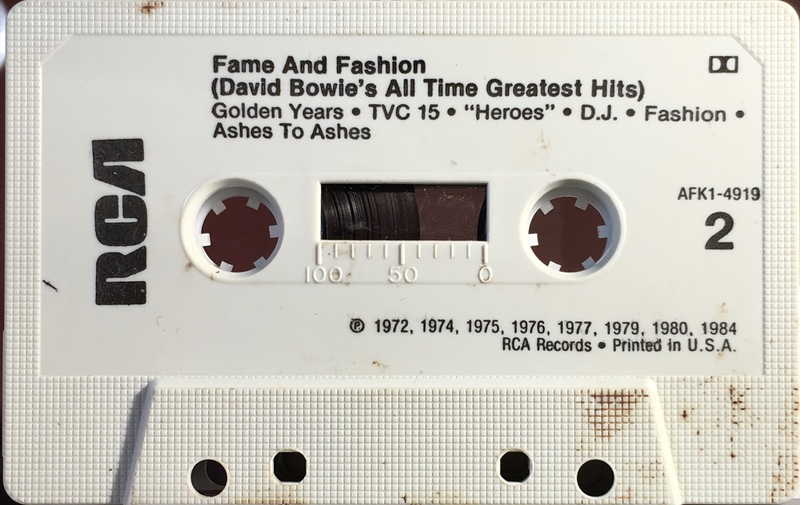 Black ink printed directly onto grey shell, stamped ‘Made In America’, with solid black RCA. 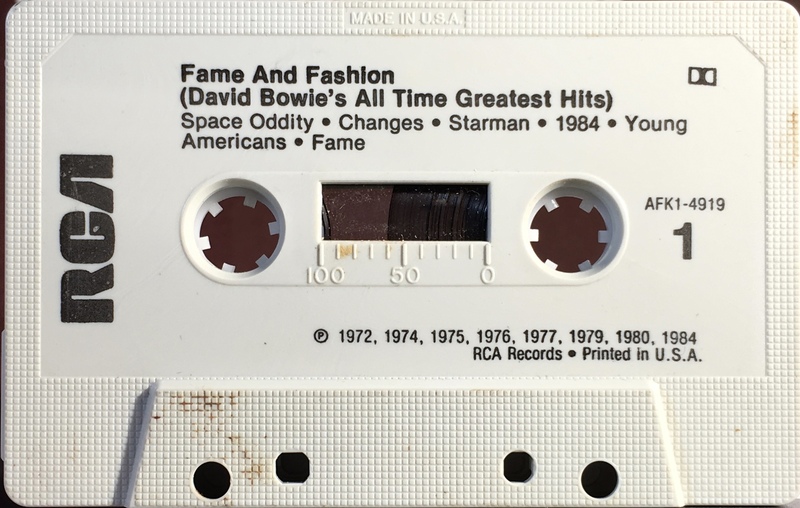 Side 1: Space Oddity; Changes; Starman; 1984; Young Americans; Fame.